Polished endcut of the Chinga ataxite. 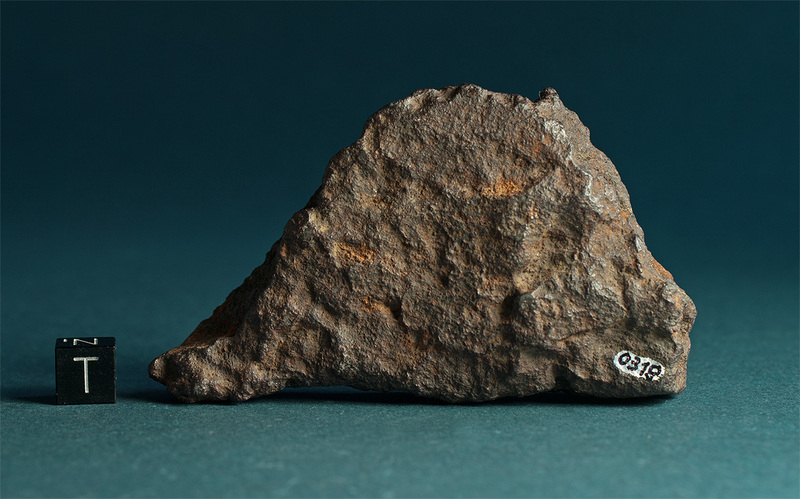 Fragments of this meteorite were discovered in the Chinga river and its tributaries by prospectors searching for gold in 1913. Several expeditions yielded more than 250 specimens until present. Today the location is exhausted and only very few meteorites are still beeing found. Although scientists have tried to locate eventual craters the fall of the Chinga meteorite might have caused no impact structures were found. Based on the deposits the Chinga meteorites are found in it is estimated that the fall took place between 10,000 and 20,000 years ago. Several researchers argued that Chinga fell on a glacier before it was transported to its current find location. 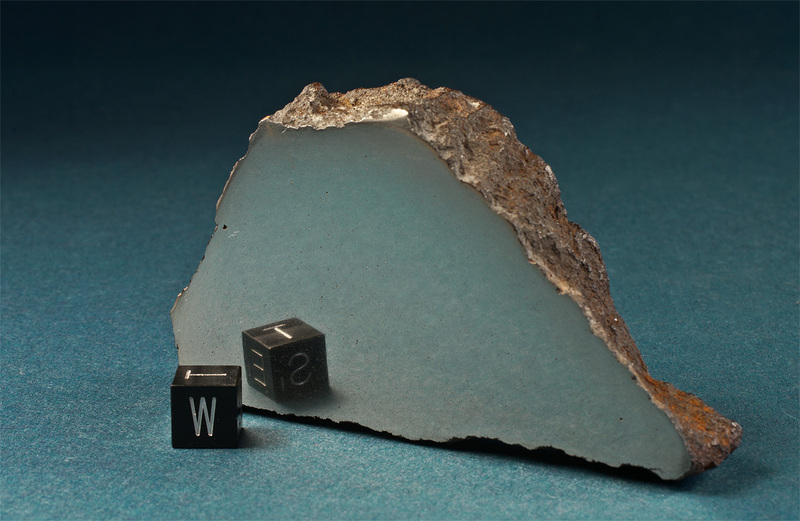 The meteorite belongs to the ataxites and has a nickel content of 16.4 percent. This particular specimen has been etched but no Schliren bands were found. The photo shows the unetched polished surface.